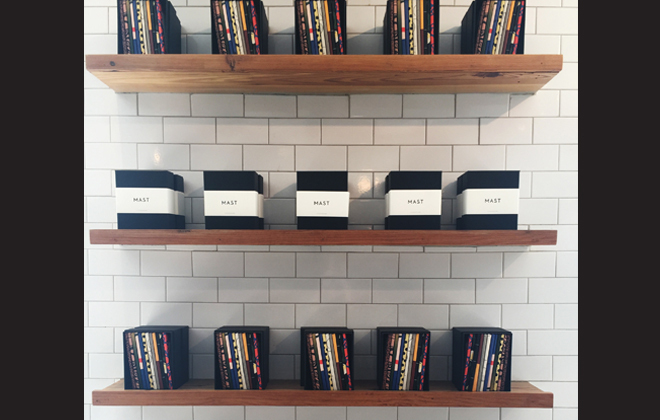 I have always loved the packaging on Mast Brothers chocolate. It’s truly unique and the best part is that their chocolate tastes as good as their wrapper looks. I’m a lover of good chocolate and I always have been. No Hershey’s allowed here! I caught wind of the redesign these bearded brothers from Brooklyn were releasing last week and was excited to see what they had come up with. 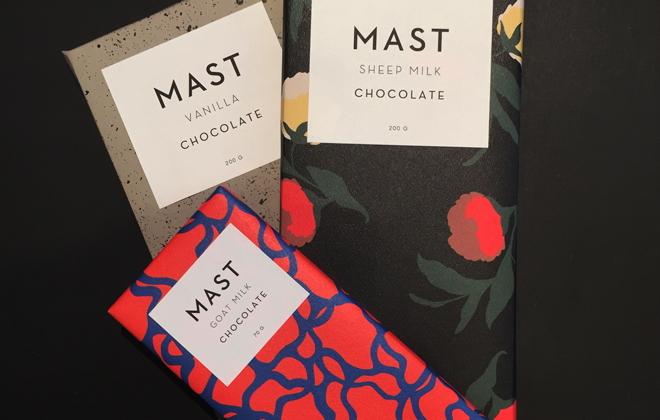 The Mast Brothers sleek re-design ushers in a new palette of tastes for the Brooklyn based chocolate makers. I wasn’t sure how I would feel about it. 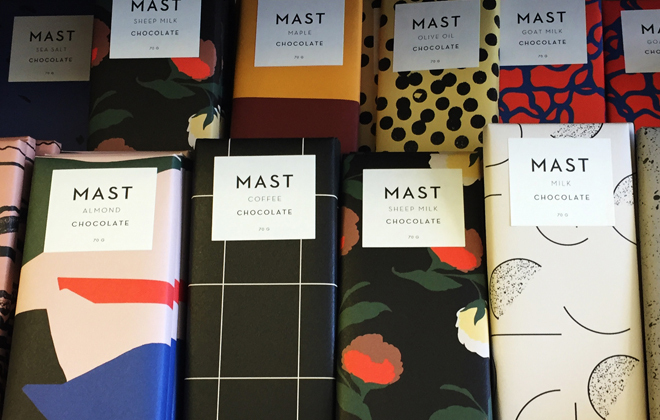 Redefining the entire line of bars with 12 new recipes, the brothers Mast have welcomed some softer, more refined chocolate tones into their line up. All images by Interior Monologue. 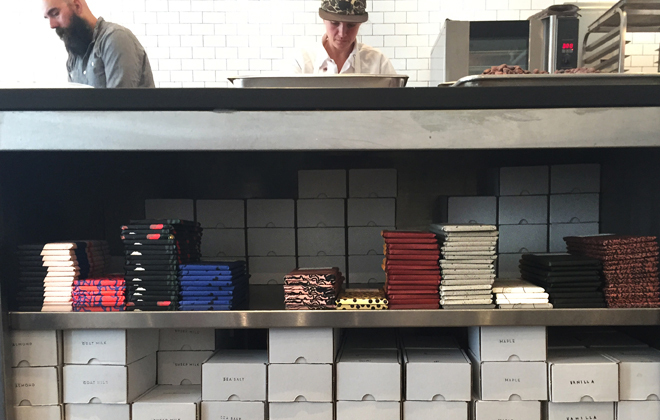 Brothers Michael and Rick Mast started the craft chocolate company in 2007, and have since grown into the authority on bean-to-bar chocolate, working closely with farms to ensure fair business practices, as well as the highest quality ingredients for top notch chocolate bars. The 12 totally new recipes created in house by chocolate maker Andrew Black, update the tastes to be interesting and unexpected, while still subtly sweet. 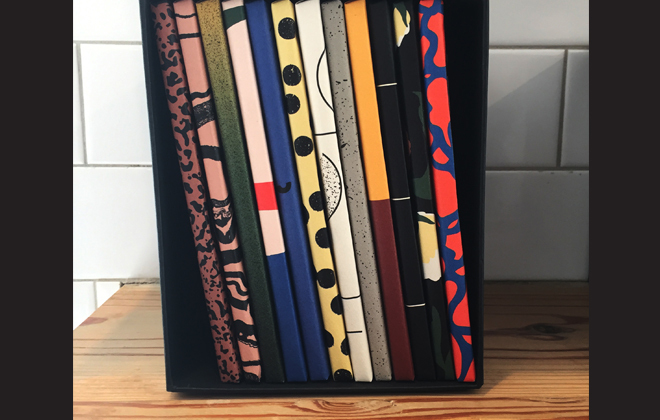 Each new bar also has a fresh packaging re-design; the fun and now iconic patterns all created by Nathan Warekentin, Mast Brothers Creative Director. Mast has also released the bars in new mini and large sizes, in addition to their traditional 70 gram bars. 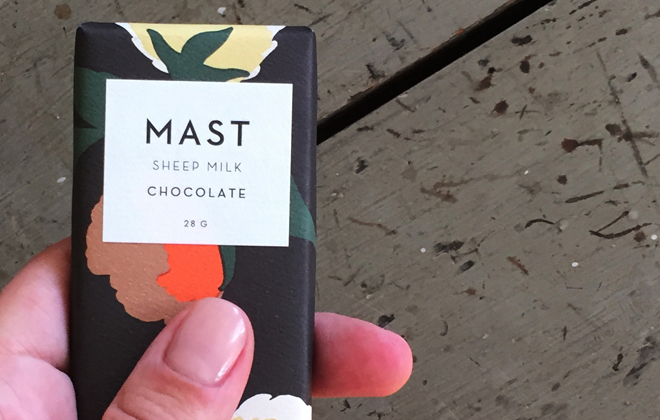 What could be cuter than a tiny little Mast Bar? Definitely not me passed out in a chocolate coma after eating too much of this deliciousness. At least the pile of wrappers on the floor next to me will look chic!